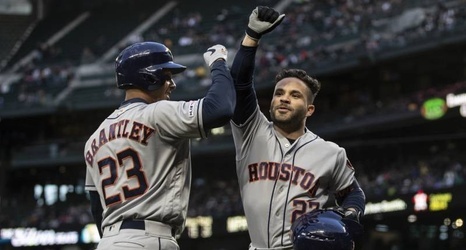 A little over two weeks into the 2019 MLB regular season, the Houston Astros and Los Angeles Dodgers are co-favorites to win the World Series. Neither the Astros nor the Dodgers lead their respective division, but they're each +600 (bet $100 to win $600) to be the last team standing this year. The New York Yankees (+650) and Boston Red Sox (+700) follow closely behind.